Last week, with the streets covered with snow, I stepped outside decked out in layers and snow gear ready to trek through the snow. Why didn’t I stay inside and hide from the cold? Well, a challenge is underway and there are steps to be taken! Here at Walker Tracker, we actually do walk the walk. Our staff enjoys competing against each other in our own activity challenges. 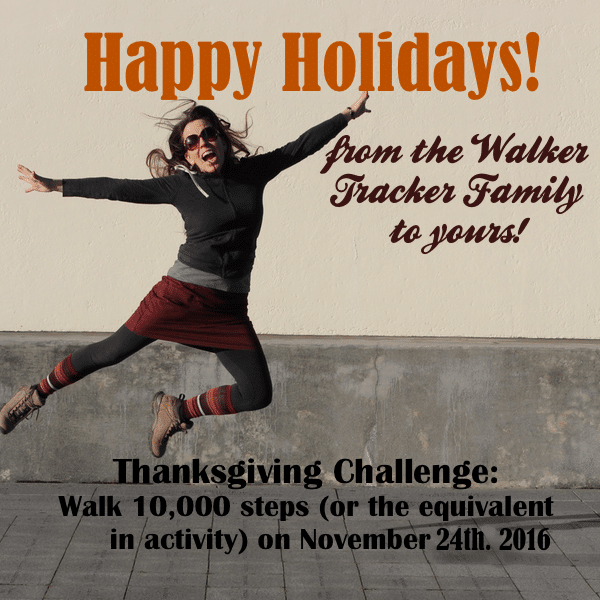 Our quarterly challenge is going on right now: The Walker Tracker Rise and Grind Challenge. The challenge is an example of our custom points challenges. Each day, competitors can earn points by meeting the daily step goal, logging sleep hours, posting photos, and answering questions throughout the challenge. So, why does this challenge focus on sleep? “We’ve found that an active lifestyle requires consistent and sufficient sleep, so in addition to encouraging everyone to meet their daily step goals we also wanted them cognizant of how much sleep they’re getting,” says our Account Executive Cyan Cooper, who is administering the challenge. He also highlights that “people tend to wear sleep deprivation as a badge of honor, but losing sleep robs you of your energy, diminishes just about every measurable health metric, and significantly increases your chances of Alzheimer’s.” Check out previous blogs with more info on sleep and tips on how to get more sleep. The challenge is not just for bragging rights, there are real stakes! Top steppers receive coffee gift cards, to help keep us focused and hard at work I’d imagine. But, the simple act of recognition, whether it be a certificate at an awards ceremony or a gift card or other prize, can be very motivating. To be honest, I’m not the most competitive person, but I’m looking forward to having fun and feeling good about my activity level during this challenge. Who will emerge victorious? Who will be left to sweep up the dust (or snow?)? Stay tuned or follow us on social media at Facebook or Twitter to hear how it turns out.